I guess this happens when we browse a site that uses Flash. It’s also actually not a double scroll bar problem but what we are actually seeing is the scroll bar of the the other tab we are browsing. The current tab window we are in has its width shortened and thus gives us the illusion that we are seeing 2 scroll bars because we are able to see the scroll bar of the other tab behind our current tab. Type “chrome://plugins” into your URL address bar without the double quotes. Once disabled, this should fix the problem! If not, then you may leave a message below and I could help you find the right solution for you. I’m sorry to hear that. 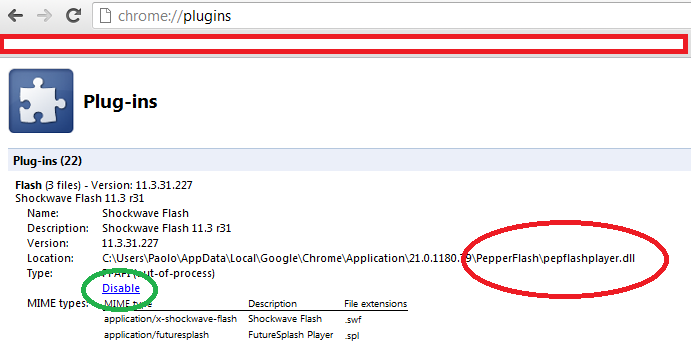 Why don’t you try disabling all flash plugins? Try disabling all flash plugins. Hello. I have been having this issue as well and I’ve tried every possible combination of which Shockwave plugins should be enabled or disabled. At first, this solution worked however after a month it stopped working and I can’t find any other solution anymore. Do you know any alternatives? How many of you with this problem have switchable graphics on your laptops? Someone somewhere mentioned that as a factor, and then I tried switching the graphics for Chrome to “power saving”. This seems to have fixed the problem. Try it out.